Well, last week was certainly an interesting one to say the least. Trump wins the Electoral College vote and will be the next American President, barring the electors doing something that has never been done in history and go against how their State voted. Needless to say, the next four years will be met with much uncertainty, as we have never witnessed a US President with no political or military experience. 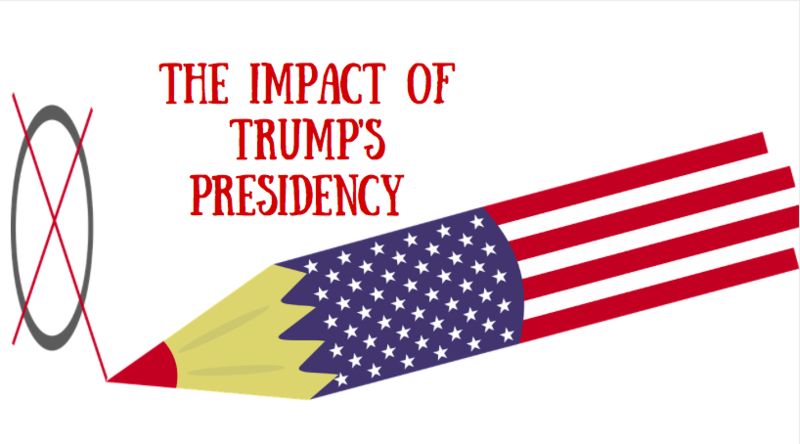 How Will a Trump Presidency Affect Me? And, if any of you have read the past emails/blogs I’ve sent out when a “major” World event has taken place, and it seems like the World is about to end, the answer I’m about to give shouldn’t surprise you. Stop worrying and have trust in the long-term plan you have developed! Remember Brexit? Remember Trudeau becoming our Prime Minister? Remember oil dropping below $40/barrel last year? Remember the recession in 2008? All of these things seemed like the worst thing that could happen to the investment World and we were all doomed for failure. Now looking back on all of these “disastrous” events, we all realize that it was just another blip in our long-term investment outlook. We are always going to have volatility in the market place, this is something we know for sure. What we don’t know for sure is how the volatility will hit and how long it will last. So why are we spending so much time worrying about it if we have absolutely no control over it? As I was reading through all of the commentary that was sent to me last Wednesday morning, I realized that I should hold off on sending out my own thoughts on the election as no matter where you turned, Facebook, Twitter, Instagram, Email, websites, etc., everyone had differing opinions and facts that would shape the conversations that day. And I thought to myself, why add more unnecessary commentary to an already strenuous conversation.So, now that most of the World has calmed down a bit on this topic, let’s try to regain some perspective of what this really means to your planning. Does this election change the way you feel about your hard earned money? Does this election change the way you feel about your family and the legacy you want to leave with them? Does this election change the way you feel about the charities you are passionate about? Does this election change the very fundamentals you have built over your lifetime that have given you so much success in the past? The answer should be a resounding NO! Stop worrying about all of the noise the media wants/needs you to buy into. An interesting fact that I’m sure most of you saw this past week, was how in 7 of the last 8 elections, markets have been up 12 months after the election, but, 6 out of 8 markets were negative the day after the election. With this being arguably the most talked about election in history, and with all of the “experts” expecting a massive downturn should Trump win the nomination, Wednesday of last week ended with the Dow being at a record high and the TSX up over 100 points. The so called “experts” got it wrong again. Which brings me back to the point I always make, control what you can control, have trust in the plan you have built and have trust in the people you have surrounded yourself with to help create that plan.